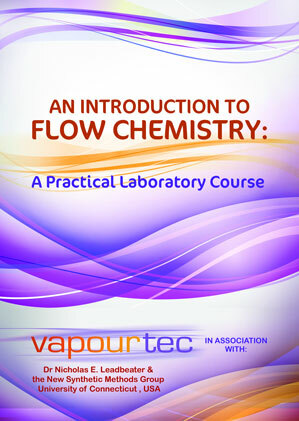 With Vapourtec’s Flow Commander™ software each experiment can be created with a simple custom schematic interface. 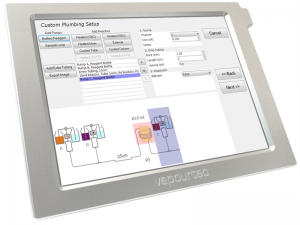 Regent/pump channels can be dropped into place and reactors of user defined volume and bore can be added into the experimental setup. 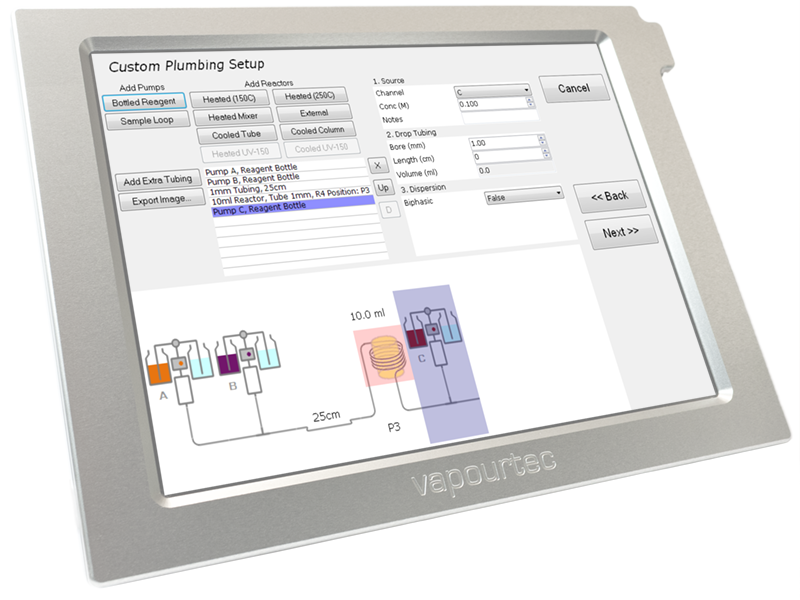 Support for external reactors and reactor heaters/coolers is available and up to 4 reagent streams can be programmed. 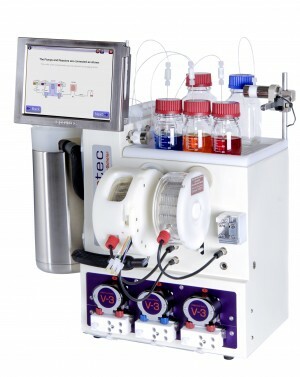 Once the Experimental setup is created, a number of reaction conditions may be added which allow a range of stoichiometric or volumetric ratios, residence times, temperatures and scale to be explored. 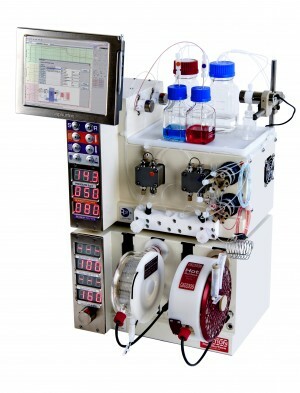 With a few simple clicks a whole range of automated reactions can be created for optimisation or library synthesis. For more information on the features of Flow Commander™ and to request a demonstration, please contact our sales team using the links below. Need more help with the R-Series? Please use the contact methods below to talk to us about our R-Series products and services. We aim to respond to your enquiry within 24 hours.